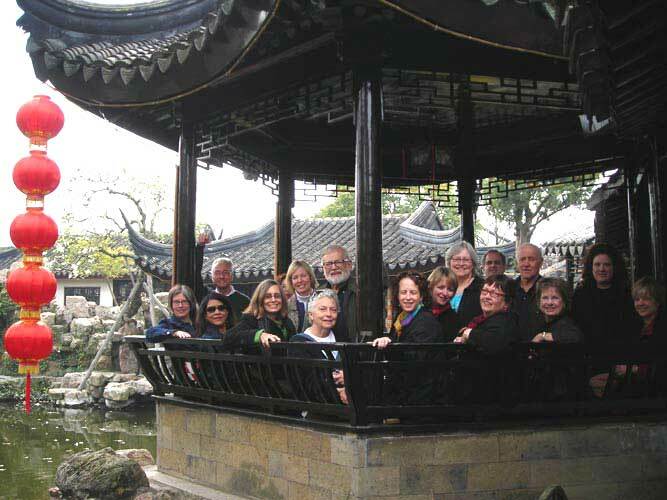 A group of around 15 Walker Art Center volunteer tour guides and three Education and Community Programs Department staff members recently travelled to Beijing and Shanghai for 10 days for a whirlwind foray into the traditional/contemporary art scene of China. The trip was enlightening, to say the least. Upon re-entry from such a voyage, it always seems difficult to hold on to the experience. Even after the first few minutes off the plane and back into so-called “real life”, the whole thing seems a little bit fleeting. I plan to use the blog format to reflect on the experience, and perhaps share a little bit about what we all learned/gained/experienced during our adventure. Item 1: The past and the present converge into one. The Red Gate Gallery in Beijing is a perfect example of the merging of old and new that can be seen all over China. Located in the Dongbianmen Watchtower, a Ming Dynasty military tower, erected in 1436, the gallery showcases the work of Chinese contemporary artists and has an active artist in residency program. 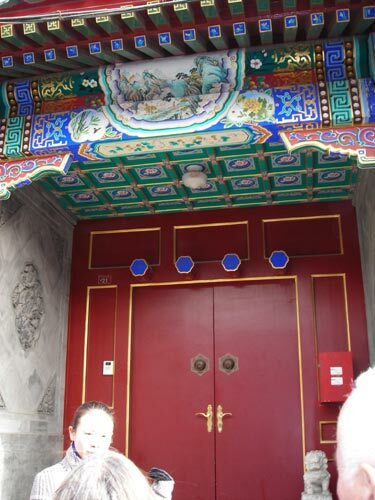 Beijing, with the Forbidden City, Emperor’s Summer Palace, and Hutong traditional neighborhoods is fraught with history. The contemporary art scene is growing, but even in the work the artists seem to address this duality (more on that in another post). One of the premier spaces for contemporary art is the Dashanzi Art District, a labyrinth of galleries and studios emerging out of the abandoned architecture of a 1950s Bauhaus style electronics factory. Contrasts abound as well both between Beijing, the political capitol of China, and Shanghai, a city completely focused on business and capital, as well as within the city of Shanghai itself. Walker guides were astounded by both the number of skyscrapers not just dotting the Shanghai landscape, but completely filling it, as well as by the incredible lightshows displayed on their surfaces. 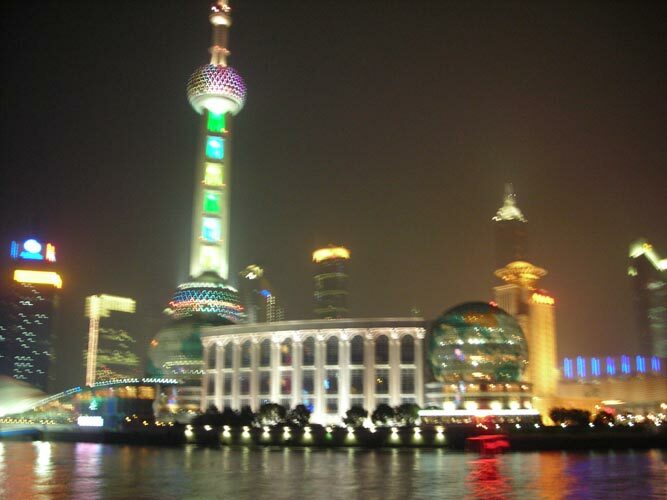 These almost futuristic buildings provided a striking contrast against the colonial architecture across the Huanpu River. A good deal of our trip was spent investigating the current art scene in China. Gallery owners and directors, as well as staff at the Shanghai Museum of Contemporary Art aided us in our exploration by provided unique insight into the art and artists of today’s China. However, our understanding of the work we saw, as well as the artists behind it, was enhanced by the richness of the traditional culture as well.